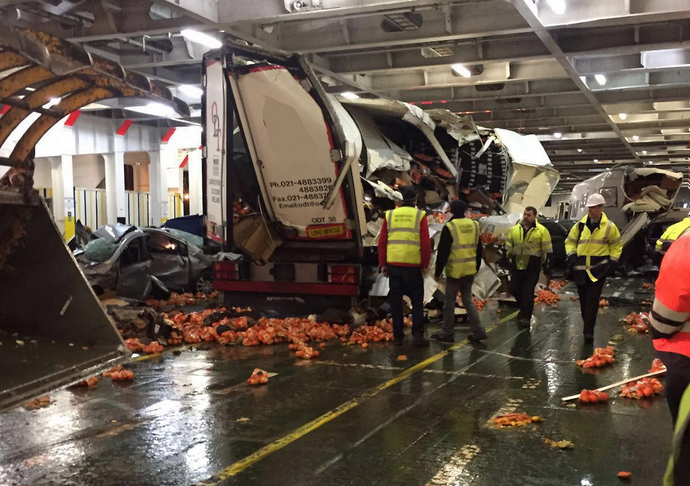 The Cherbourg to Dublin Irish Ferry was hit with 105-knot winds as it was returning to Dublin on Sunday. 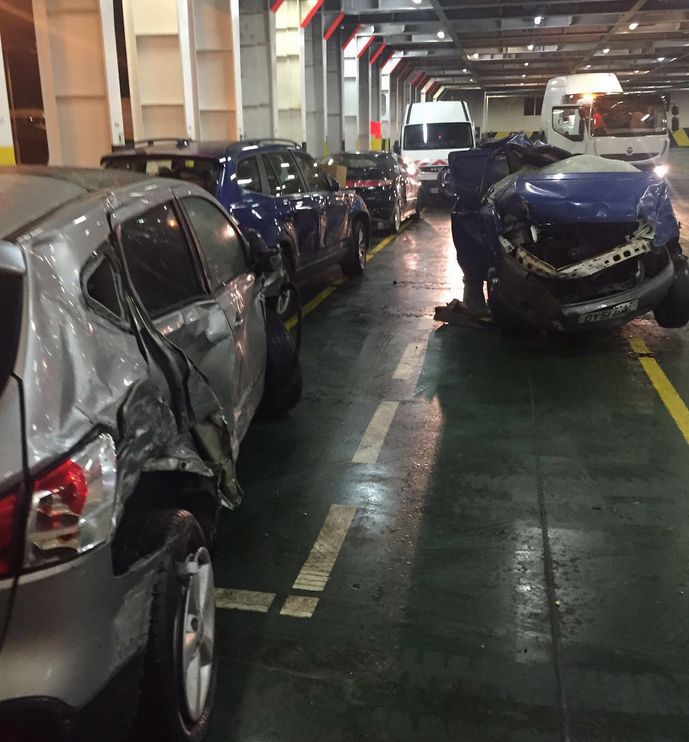 Hundreds of thousands of pounds worth of vehicles were wrecked as they pinballed around the cargo deck. Thankfully no-one was injured in the incident apart from travellers pride and joy. Wow! Carnage. Didn't hear a thing about this. | Wow! Carnage. Didn't hear a thing about this. Idiots in the ferry management. My car was coming into dublin on saturday but ship gave up and headed away out of way till yesterday till all had calmed down. Took few attempts on saturday but gave up. By looks of that boat thank god he did. Oh think of the paperwork with that lot. | Idiots in the ferry management. Im not going to argue with you on this, but how do you know damaged vehicles was down to poor deck planning? EDIT: Sorry you mean the cavalier attitude of 'Send 'er on, she'l make the crossing rightly' management? If so I see where your coming from. Know all about it. We're 'fortunate' enough to work aboard the company's flagship. Latest in the industry, £550M joint venture with SHELL. Winter of 2013/2014 we were the only Dive Support Vessel out of 8 in the North Sea still working, everyone else had ran for shelter in Peterhead, Invergorden or Aberdeen, but we had to prove a point. Myself & a fella from Chester were working on the seabed until we were physically dragged off the job as the vessel couldn't hold her position after getting hit side on by a 92knot squall. You'l make the headlines alright lads..